Dedicated on Memorial Day, 1929, Louisville's Memorial Auditorium commemorates those who served and sacrificed in World War I. 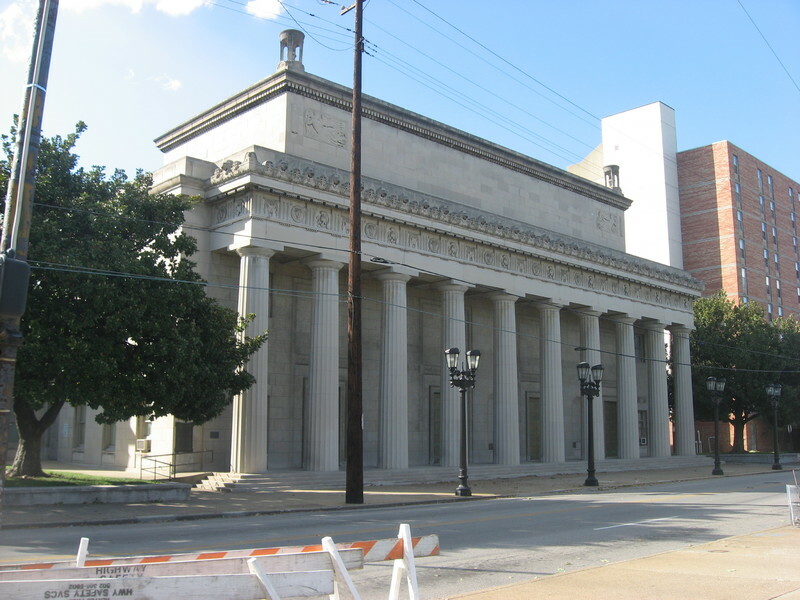 Historical Marker #1692 commemorates the Louisville Memorial Auditorium, which was built to honor those who died in World War I. The Louisville War Memorial Auditorium emerged from a prewar proposal to construct a municipal auditorium that became tied to the city's desire for a way to commemorate those Kentuckians who made the ultimate sacrifice during World War I. The combined auditorium and memorial was slated to cost $1 million when the state legislature authorized the project in 1920. Half of the funding was supposed to gathered via private donations, while the other half would be raised by a voter-approved bond issue. Unfortunately for the memorialists, the bond issue failed to attract the two-thirds majority needed in the 1920 election. Louisvillians nonetheless persisted in their efforts. When the state legislature again approved a bond issue in 1922, a memorial commission formed to promote the project. Amidst an intensive publicity campaign, the bond issue passed by the necessary margin and provided $750,000 in public funding for the memorial auditorium. Construction delays postponed the building opening, but it was eventually dedicated on Memorial Day 1929. The auditorium was updated in 1954 to improve the acoustics, which highlight the original Pilcher organ that has provided great music for the space since opening day. 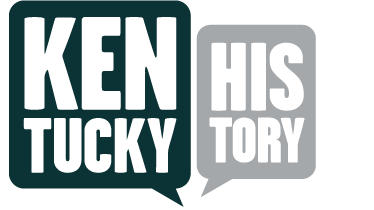 The memorial also features historic flags from both World War I and World War II that remind visitors of the building's significance and emphasizing the sacrifices Kentuckians made during these decisive episodes in world history. Construction began in 1927 as a tribute to Louisvillians who died in First World War. Architect of the Greek Revival building was Thomas Hastings, assisted by E. T. Hutchings. On Decoration Day, May 30, 1929, the War Memorial Auditorium was dedicated. Within its walls Louisville's cultural life flourished, despite the dismal years of the Great Depression. Historical Marker #1692 was dedicated in 1981 through the generosity of students at Bellarmine University. 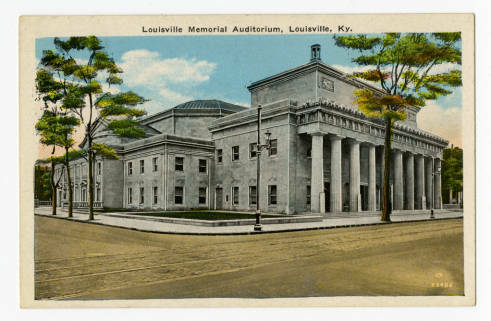 Andrew Patrick, “Memorial Auditorium ,” ExploreKYHistory, accessed April 22, 2019, https://explorekyhistory.ky.gov/items/show/773.